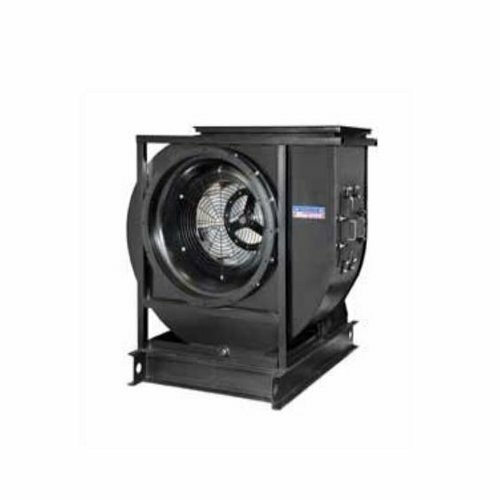 A Backward Inclined Blade Blowers is used for clean-air to move high volumes of air at different static pressures. Our engineers have decades of combined experience in the industry. Backward Inclined Blade Blowers is offered in belt-driven, direct-driven and direct-coupled arrangements along with various impeller and housing widths.As a highly efficient model, Backward Inclined Blade Blowers offers lower sound levels and energy costs than many other fan types. The fan impeller has been designed with a focus on high operating efficiency without compromising high mechanical strength in its specific blade angles and various streamlined profiles. Whether standard or custom, each Backward Inclined Blade Blowers is designed and built with unmatched quality and backed by responsive, respectable service. Established in 2001, we, Burner India, have become a leading name in the industry. With years of industry experience and rich expertise, we have acquired an enviable reputation of one of the leading Manufacturer, Importer and Exporter in the industry. Continuous improvement in production techniques and equipment has enabled us to offer Thermic Fluid Heaters, Pellet Burner, Blower And Exhaust, Asphalt Series etc. We have art of infrastructure unit well equipped with modern amenities & equipped with latest advanced technology. We have a capacious warehouse to store our products & for on time delivery. With the help of this, we are able to fulfill consignments on time.